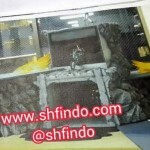 No details about them at the moment but more will be shown at the Indonesian Toy Fair. Surprised that they waited this long to do these, but it makes sense seeing how the Black and Black RX renewals just came out. They look a bit awkward on their bikes, but of course I'm still excited. I'll be all over the figures, but I can happily pass on the bikes. They always looked more like a downgrade from the beautiful Acrobatter to me. Not only do they look awkward on their bikes as Den-O has said...but they also look sorta...cheap? 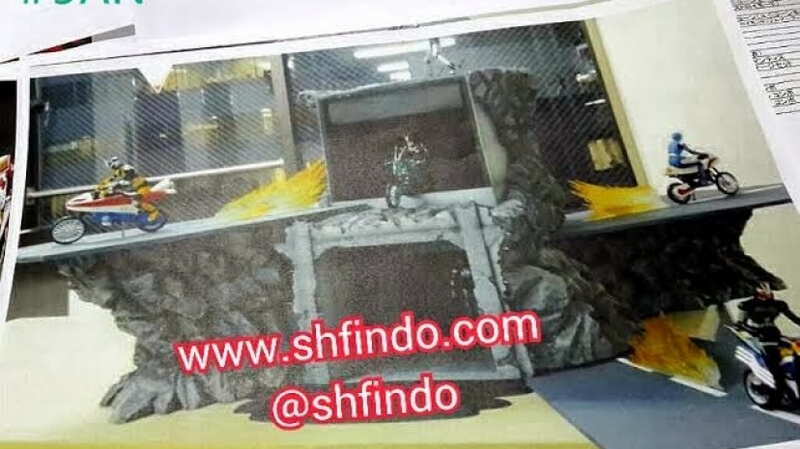 I dunno whether it's just because they're old suits or these are just low quality scans or whatever but I dunno, something looks really off with the finish. I see it too but I think it's primarily because they're just display prototypes. Likely hand painted prototypes. Ah yeah that might be it. 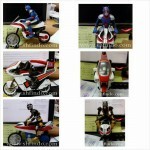 Masked Rider Gold and Blue Modes. Cool. 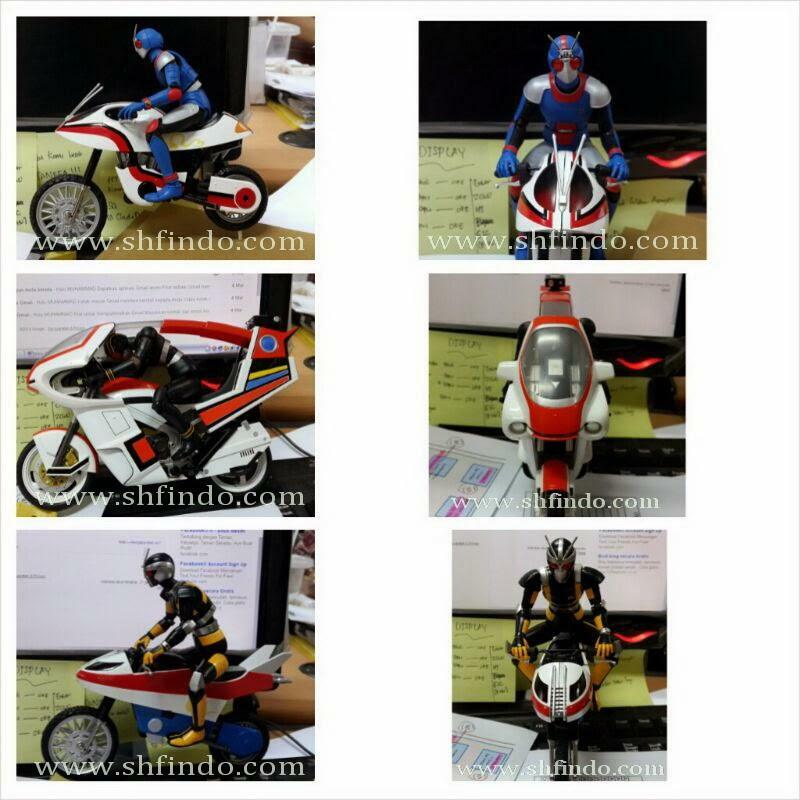 I might get these, Black RX, the blue Space Sheriff, and Ryuki for..... reasons.